A classic message delivered with style! 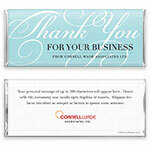 Include a personalized message and your corporate logo for the ultimate comapny giveway. 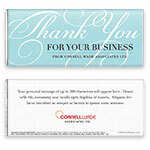 Design: Scripted "Thank You" business message on a plain background. Personalization: Front information, back message and logo.